Morning rituals are changing, driven by different lifestyles and socio-economic challenges. To meet this trend, industrial companies are developing new ranges that provide more than just cereals; they provide fruit too. We can provide fruit inclusions with controlled water content and water activity. 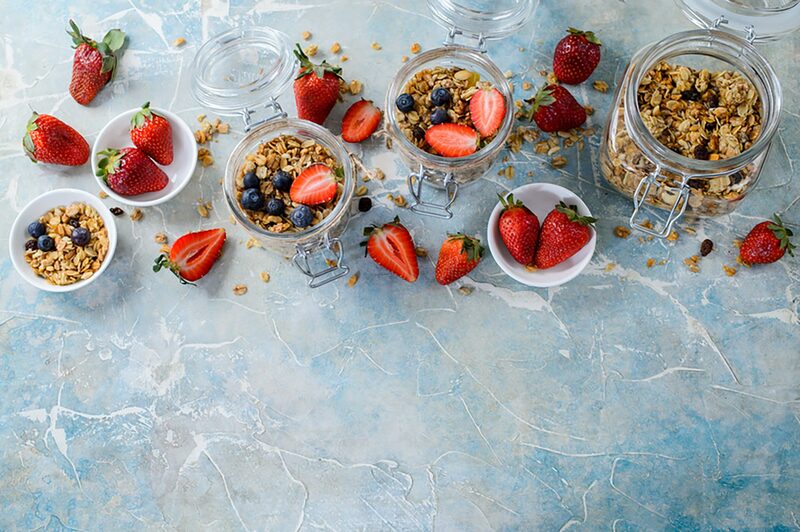 These product ranges, fruit centres and fruit pieces are ideal for applications in cereals, muesli, fruit bars and energy bars, cold or hot breakfasts with cereals. Combine the oat flakes, pecan nuts, apricot pieces and sesame seeds. Add the honey, compote and cocoa powder. Put the mixture in a large baking dish. 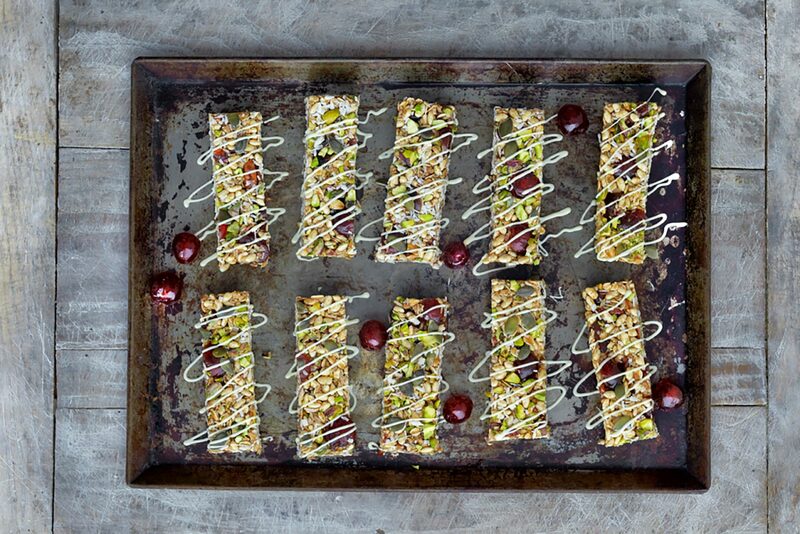 Spread it out and push it down firmly to make a thin layer of muesli. Bake for 40 minutes to 1 hour at 170°C, keeping an eye on it. When the mixture is dry and slightly golden, remove from the oven and break it up. When it is completely cool, store in an air-tight container. Melt the chocolate and the butter in a bain-marie, putting a bowl over a pan of simmering water, and stir with a wooden spoon. At the same time, combine the orange fruit centres with the candied fruit. Remove the bowl from the bain-marie and add the fruit mixture and cereal to the chocolate. Pour this mixture into a tin lined with buttered greaseproof paper, press down and smooth the surface with a spatula. Chill for 1 to 2 hours until the mixture has hardened. Turn out onto a board then remove the greaseproof paper.